Elementary students created original murals which are on display at Pitcher Elementary in Kansas City Public Schools. 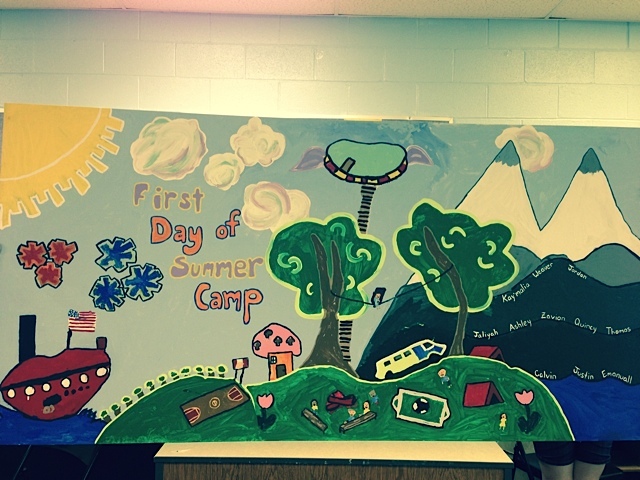 Students began the murals during Pitcher's Before&After School program and completed the creations during the first few weeks of the school's LINC Summer School. 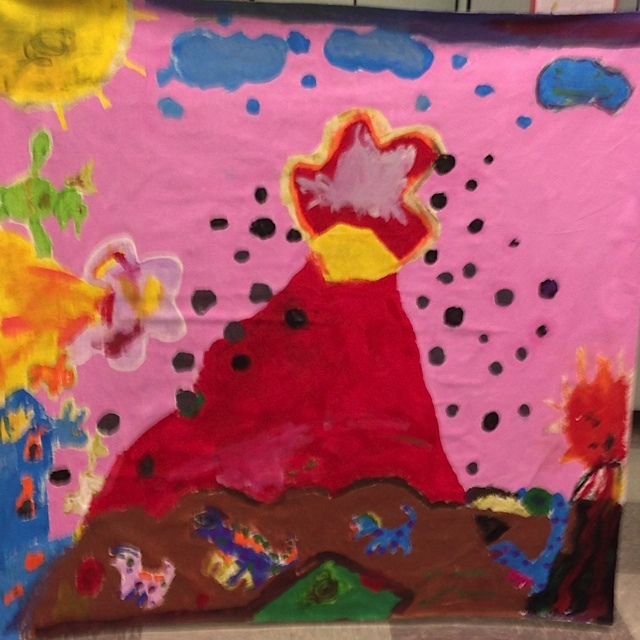 Fifth and sixth grade students created their art to represent the images from their book about tornadoes. 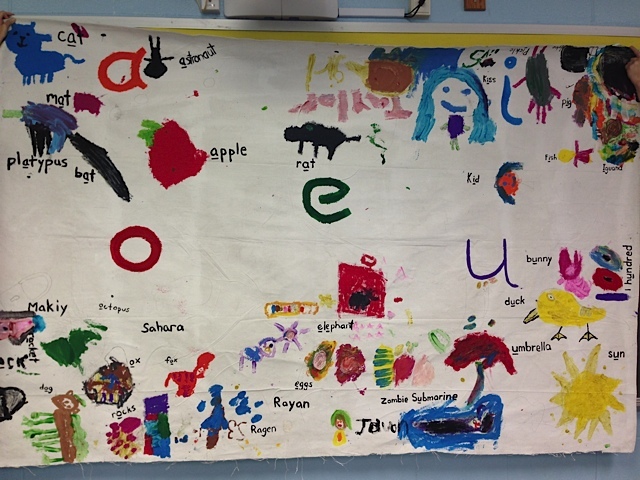 First grade students, learning their vowels, painted letters and corresponding images that began with the letter. Third graders broke into five groups of five students to create their mural depicting their version of "A Dinosaur Named Sue" and what they imaged the end of the story would lead next. "They were so happy to see how it came together," said Site Coordinator Sheila Marshall. "They transferred the literature into art. You'd be surprised to see the artistic expression they used in creating the murals." The murals were inspired by books that were required reading through state curriculum. Marshall explained how creating visuals of what they were reading engaged a majority of students than traditional reading alone. "Students who may not like reading are interested once they saw their reading come to life. It's something that they can be proud of." Student-created murals concerning friendship and anti-bullying were displayed at 18th and Walnut earlier this month and can now be seen at Pitcher Elementary. "We try to make sure we make reading fun for them, not just to read but to visualize the content." LINC Staff and Pitcher plan to make art an option to students as part of their reading as long as resources are available. Sheila Marshall is the LINC Site Coordinator at Pitcher Elementary. She can be reached at 816-418-4554 and smarshal@kclinc.org.